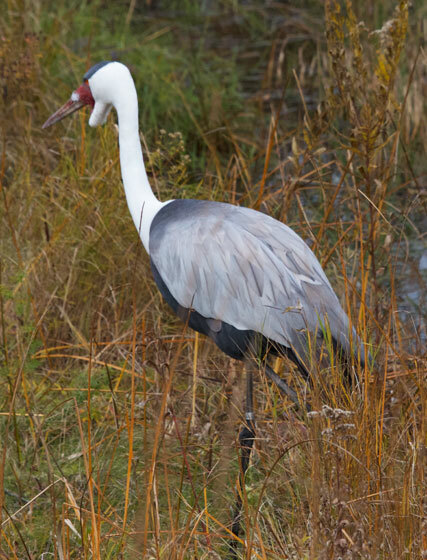 Standing up straight, Wattled Cranes are taller than I am. They are called "wattled" for the white feathery lobes that swing under the chin. 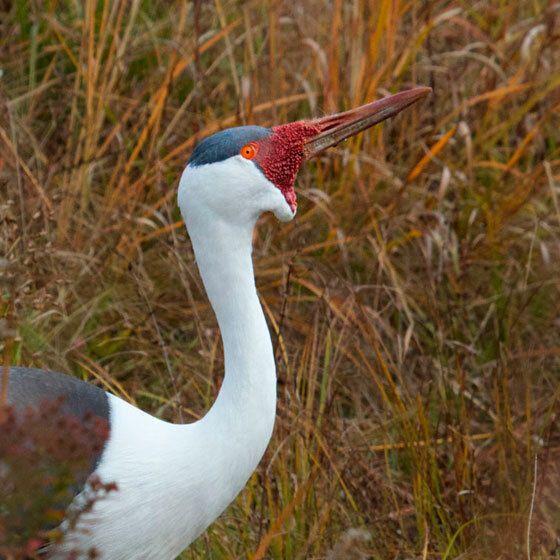 Cranes express themselves with their bare, red, bumpy face patches by changing the shape and intensity of the red. Kind of like human blushing, but more complex and nuanced. Other cranes know exactly what they mean. Wattled Cranes don't have much tail, but the secondary feathers of their wings are very long and black. Decorative. The cranes use these specialized wing feathers in their courtship. The photo above at right shows how long the wattle actually is. I don't know if anyone knows how the wattle functions in the Wattled Cranes' lives. 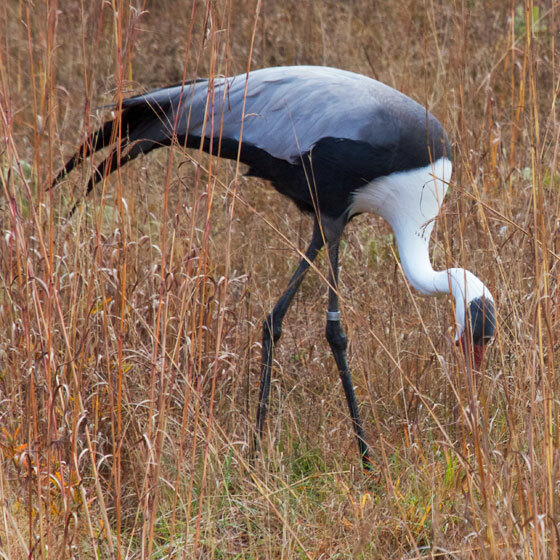 Now 7000 Wattled Cranes survive, in the southern lobe of Africa. Fewer each year. Wattled Cranes need wetlands, and, well, you know how hard it is for us humans to let a wetland be.